Choosing the right media agency partner is one of the most critical decisions a marketing and procurement team can make. Media investment is such a powerful lever for business growth that securing the right terms and talent with the right media agency is the key to giving your brand a real competitive advantage. But with the media environment constantly evolving and agencies becoming ever more complex – running a media pitch demands careful consideration. Before beginning the pitch process, you need to make sure you have full stakeholder alignment, defined objectives and clear evaluation methodologies. In running the media pitch, a structured and objective approach is essential as this removes ambiguity and subjectivity, ensuring that prospective agencies are clear on what you expect of them at every stage and understand how decisions will be made. The media pitch should stress-test participating agencies in appropriate ways. Using challenges aligned to your media ambitions will help ensure that the chosen agency will meet your business needs and the requirements of all internal stakeholders. And remember, the winning agency needs to be held accountable for the promises they make in the pitch process. 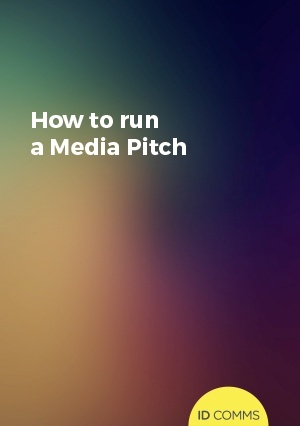 Running a media agency pitch is a significant undertaking and can be a distracting and disruptive process for everyone involved, including the incumbent agency. The more efficient and organised your media pitch is, the less disruption there will be to your daily media and marketing operations. The management of the media agency pitch process has evolved. Most big media agency pitches of yesteryear saw procurement take the lead in a heavily-price driven process. The desire for substantial and immediate cost savings would often eclipse guarantees of media neutrality or demands for quality of media placement. Instead, the agency that could combine a race to the bottom on price with a few shiny ideas usually won the business. It was an unsustainable approach that did little to ensure that a brand’s media investment delivered real results. Today’s advertisers look beyond price alone when selecting a media partner, and they are much more enlightened in the questions they ask and the relationships they want to build. Collaboration is key, with marketing and procurement working together to ensure that the winning agency is the right fit for the company and will deliver both value and improved media quality to the business. This positive approach to running a media agency pitch gives you much more scope for challenging agencies in interesting and dynamic ways. When designed correctly, media pitches should excite and enthuse agencies about working on a business, rather than compounding the pitch-weariness of execs tasked with endless RFI template completions. Ultimately, this delivers a more positive pitch experience and a satisfying end result for advertisers and agencies alike. What makes a great media pitch. Media agency pitches carry a lot of risk because they can be highly distracting for both the client and the agency. It is therefore important to run an efficient and effective tender process that will minimise the disruption to daily marketing operations. That said, media agency pitches are a huge opportunity to be seized by both sides. They are about more than just securing better media pricing, they are about getting the very best agency (or client) you can. It’s therefore important to aim high and create the best pitch possible, maximizing the opportunity to identify the right agency partner that will unlock new value, profitability and productivity from your marketing investments. To achieve this takes work from all sides. From the start, it’s vital that the brief is clear and details all the relevant requirements. This includes outlining exactly what is required for an agency to win the pitch, so it is important to share the client’s objectives and evaluation criteria, and to be transparent about the stakeholders’ decision-making processes. Many media pitches are flawed by poor quality communication, both internally and externally. This can dangerously undermine a successful pitch by leading stakeholders on both sides to lose interest, energy and commitment. Equally, many pitches leak to trade press and every pitch has its share of rumours, so the flow of information needs to be actively managed through good planning. To overcome these hazards, process and communication must be a priority, with the aim of maintaining a consistently high level of energy and commitment throughout the pitch process. To do this, all communications should be clear, focused, and timely, so it’s recommended that corporate comms be closely involved in creating internal and external communication plans, with dedicated plans for managing information flow to the press and participating agencies. In some cases, the amount of value you get from your media investments is at the discretion of the agency, meaning the more committed they are to you and your ambitions the more likely you are to have a productive partnership. Securing an agency’s full commitment to your review can pay dividends in unlocking new productivity in media, so consider making a small gesture, such as covering some of each agency’s pitch costs. It will be greatly appreciated and could pay for itself many times over in value delivery from the winning agency. In the later stages, when you come to compare the final proposals, it is essential that there is no ambiguity: the winning agency must be held accountable for their pitch promises. Finding the right media agency PART 2 - Investment exercise. This 22-page Best Practice Guide contains a 10-point checklist to help you begin to plan out a strategic, transparent, accountable media agency pitch which engineers a productive and value-creating relationship with the right media agency resources for your business.